Does your outdoor living area make a strong first impression? Do you want to walk out daily to your own oasis? LET JBA CUSTOM MASONRY & OUTDOOR LIVING HELP YOU ANSWER YES TO ALL THESE QUESTION! Look for our signature purple trucks in your neighborhood! 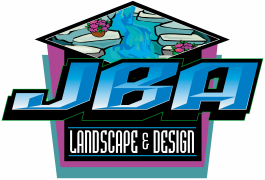 JBA Custom Masonry & Outdoor living is privately owned and operated by Arthur Szproch. We offer services to both the residential and commercial community in and around Northern NJ. We are now more than just a landscape company. Over the past 10 years JBA has grown and changed. Although we started out cutting grass and trimming bushes, we have evolved to all out renovations and construction indoors and outdoors. Not only can we build you a resort in your own backyard, we can also renovate, build, or design any area inside of your home. JBA is backed by a full construction crew. We are capable of providing a complete spectrum of landscape services from plantings to construction. ﻿﻿﻿JBA prides itself on its prompt and professional service from design through installation. If it’s a hard scape, re-design, plantings, renovation, construction, etc. we have outstanding selections, exceptional quality, all with a timely response. JBA takes close care to treat every property serviced with respect and dignity. We also take the time to thoroughly appreciate and attend to every small detail. Because we know how much pride homeowners take in their property, we share the same pride in every job done by our company. We have worked hard to build a strong reputation. It is important to us that we have 100% customer satisfaction. Check out our customer testimonials on this site and Houzz to hear from some of our real life satisfied customers. We are fully insured, licensed, and trained. JBA's NJ Home improvement contractor license is #13VH05605300. ​with excellent communication skills and the utmost respect for our customers.